If the upcoming conference, golf, clay shooting, and zip line activities at Seven Springs Mountain Resort have not been reason enough to register for this year’s conference, then consider the Thursday, September 28 panel discussion, featuring our own Scott Burkholder. Scott is participating in an important session that likely will affect you, called Assisted Living Residence Licensure: Why and How to Transition. The panel is going to be tackling issues regarding the Managed Care rollout in PA. Learn what to consider if and when converting from a Personal Care status to an Assisted Living Facility. Hear from an Assisted Living Provider who made the switch, regarding opportunities realized and challenges during and after the transition. Regardless of the type of facility you currently own or manage, PA’s Community HealthChoice Program will likely affect you. Implementation begins on January 2018 for the Southwest counties of PA, shortly followed by Phase 2 in the Philadelphia region, and Phase 3 throughout the rest of the State. Join Scott; Jacqueline Coates-Rowe, Director, Bureau of Human Services Licensing, PA Department of Human Services; Megan Campbell, Senior Vice President of Operations, IntegraCare Corporation; and Gail Weidman, Director, Policy and Regulatory Affairs, PHCA as they discuss the Managed Care rollout in PA and its potential implications for you. 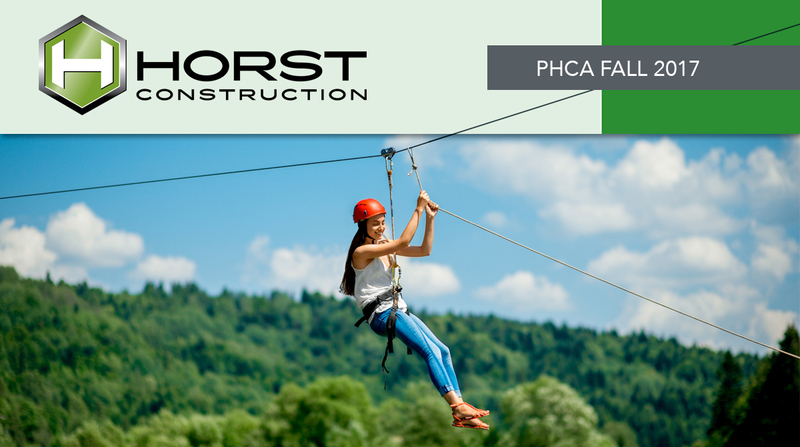 To help you evaluate your Assisted Living facility strategy, Horst Construction—in collaboration with PHCA—has created a cost analysis to assist Personal Care Home (PCH) providers interested in estimating the potential capital expense to convert their PCH to an Assisted Living residence. Note that depending on the extent of the renovations, your entire PCH may need to be brought up to current Code and ADA requirements. Can’t attend? Contact Scott Burkholder at 717.581.9971 or via email to discuss how these important issues might affect your facility.